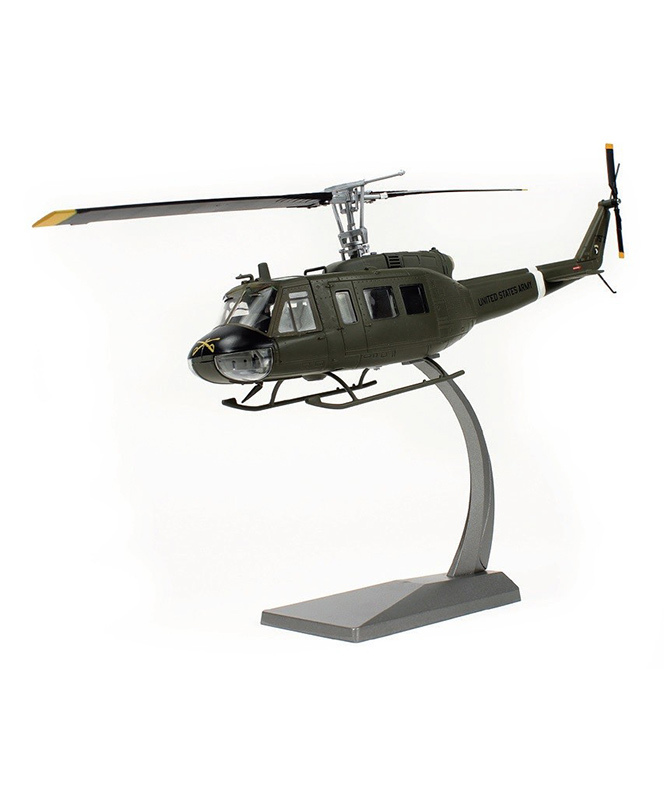 The Bell UH-1 Iroquois, commonly known as the "Huey," was a multipurpose utility helicopter famous for its service during the Vietnam War. Bell developed the powerful helicopter in the 1950s and produced more than 16,000 between 1955 and 1976, over 7,000 of which served in Vietnam. The aircraft were used primarily to transport troops, for medical evacuations, cargo transport, and aerial attack.